Head on down to Lightpool Village to experience the Blackpool Illuminations in a new and dynamic way! During the Blackpool Illuminations, the Tower Festival Headland is transformed into Lightpool Village. At peak times, there will be stalls selling hot food and drinks, soft drinks and yummy snacks. Lightpool's trophy feature is the 3D digitally mapped shows that are projected nightly onto the base of The Blackpool Tower. 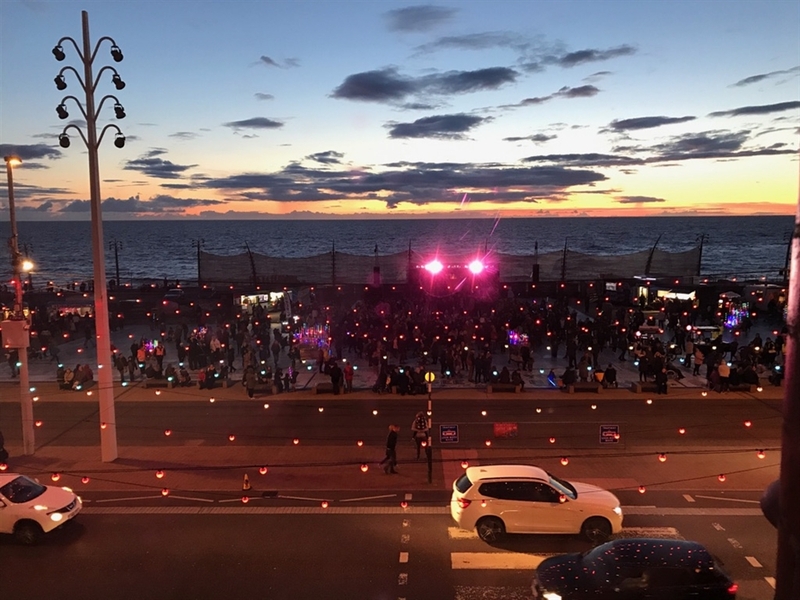 You can also have your own photo projected onto the base of The Blackpool Tower in between projection shows, along with souvenir photos and key rings to take home to remember your visit forever! You can also have your photo taken with the legendary Switch-On switch! All of the profits from sales at Lightpool Village are reinvested back into the Illuminations to continue to improve them in the future, so come along and be a part of the greatest free light show on Earth!